Ahh, finally another MAC collection to sink my lips into! 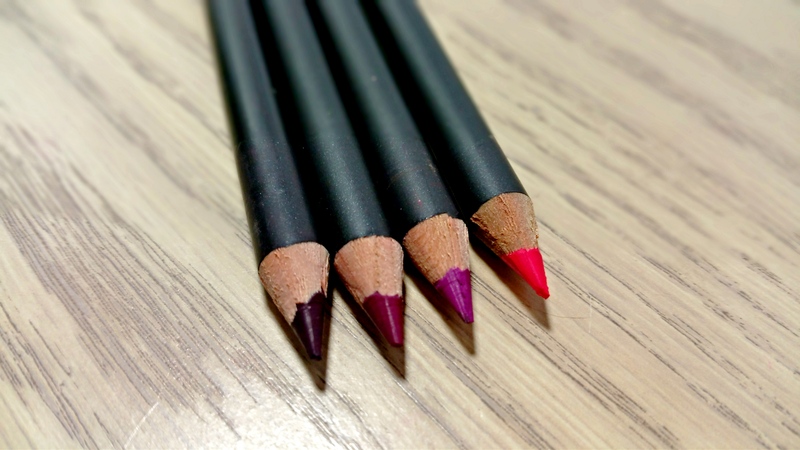 It’s been a little while since I’ve ordered some MAC goodies but I couldn’t resist ordering a few lip liners from the Pencilled In collection while shopping online at Nordstrom. 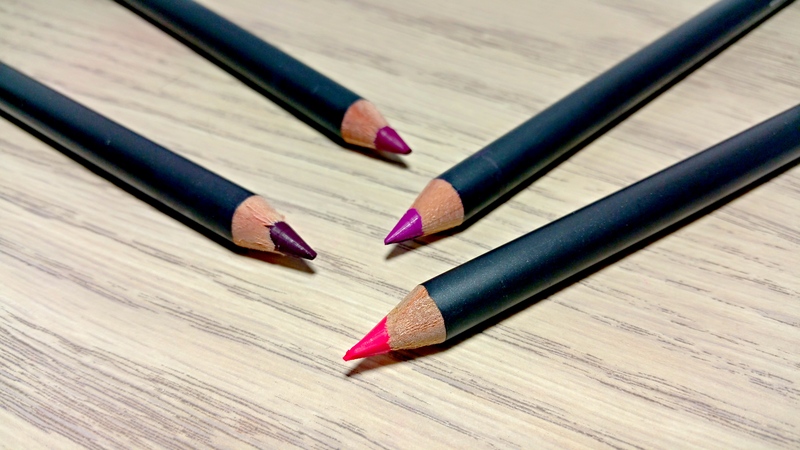 In case you missed it, the Pencilled In collection introduced a host of new lip pencils along with some matching lip glasses to your favorite MAC lipsticks. There’s 11 new (and permanent!) shades in this collection ranging from nudes to reds to pinks to purples. I’m a pretty big fan of MAC lip pencils as I find them pretty creamy and comfortable to wear so I grabbed 4 of these babies. And I’ll probably be grabbing a couple more. I just can’t help myself! I’m thinking about going back for Rosy Rim, Fruit Cocktail, Candy Yum Yum and Talking Points. 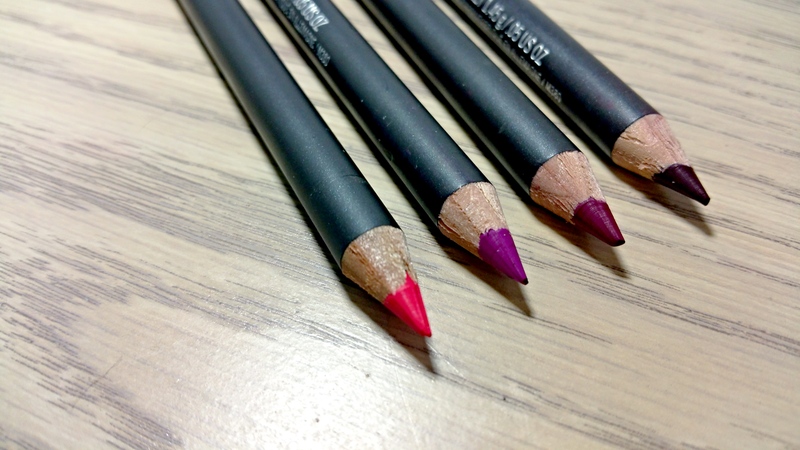 A girl can never have too many lip liners right? Oh, I’m jumping up and down here in excitement! Perfect timing! I’ve been slowly growing my collection of pink and purple lippies and in desperate need of matching lipliners. 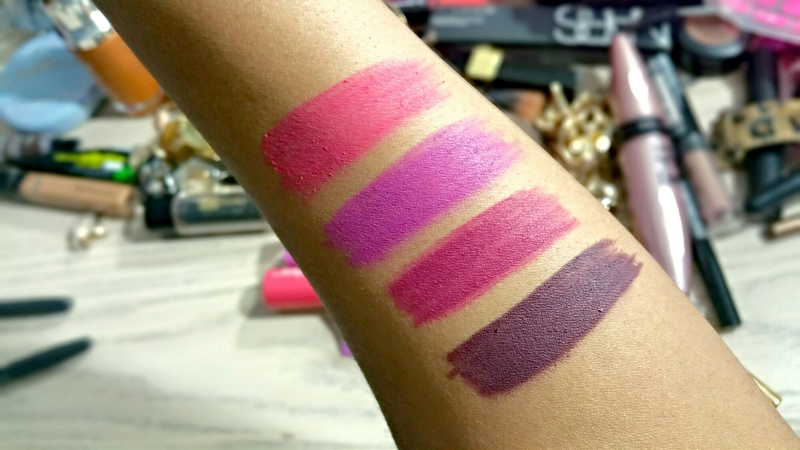 Heroine is on my MAC buy list for lipstick and lip pencil. And that Nightingale lipliner looks like a good match for MAC Hollywood Cerise. Thanks for the swatches! No problem! I’m glad I’m not the only lip liner junkie here lol. They just make lipsticks look and wear so much better on me. I hope you like them! Heroine and Candy Yum Yum are on my wishlist as are all 3 of the new lipglasses! I almost forgot about the glosses! I kinda want Heroine now that I’m on a gloss kick. It’s so pretty! Chic Trick, Nightingale and Cyber World are so pretty. They’re all great shades but based on your swatch these are my favorite. I think they would look great on you, Joanna! Especially Cyber World. I could see you nailing a vampy lip!